Ever since the advent of cable television, the Indian television industry has grown manifold. What it did was, it gave Indian viewers the option to watch programmes from round the globe. And when the channels decided to step in to regional channels market, it opened up a Pandora's box, opening avenues for many operators to step in. When Chinese tycoon Li Ka-Shing decided to launch Star TV from Hong Kong, the basic idea was to offer American programmes to the rest of the world. What it did was to start something, which revolutionized Indian television. From just one satellite channel in 1992, there are now about 417 satellite channels in less than two decades. At a national level, in the last two decades, one has seen many regional, national and political channels trying to gain mileage, with often regionalism. With more than 130 million TV households in India, vernacularisation and regionalization is often bound to happen. This is because the business of TV news is extremely lucrative. There was a time when programmes like Hum Log, Ramayan, Mahabharat, Buniyad, used to earn maximum TRPs and the Hindi GEC were ruling the roost. The main reasons were ' either there were not many regional channels, or they were not good enough to attract the audience, or they simply didn't have the reach to be available on common man. The increase of regional channels and satellite distribution has been estimated to have grown at the rate of 20 per cent every year and it's expected to be on an upward trend in the years to come. And Bengal seems to be new market, which is on the radar of every one. Despite Hindi being the common language of communication, Bengali-language channels hold the three leading slots, in terms of market share, amongst the top 10 channels in the GEC with a combined share of over 32 per cent. According to ratings firm TAM Media Research Pvt. Ltd, Star Jalsha had a 47 percent viewership share among Bengali GECs in June, Zee Bangla had 22 percent and ETV Bangla 15 percent. Among Bengali news channels, 24 Ghanta TV had a 36 percent share, while Star Ananda had 35 percent. There are other regional channels as well, which have done well in the past and hold a genuine threat, but it's the Bengal that everyone is looking at. Besides southern markets such as Andra Pradesh and Tamil Nadu, West Bengal is emerging as a stronghold for regional players. And if the top 10 programmes in the last four weeks across all channels are anything to go by, Bengali-language channels have established a near monopoly. According to the TAM report, Star Jalsha tops the list of Bengali GEC with 47 per cent viewer ship. 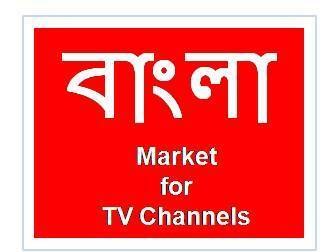 It wouldn't be wrong to say that Star Jalsha played a pivotal role in rewriting Benagali GEC market. It became the market leader within 32 weeks of going on air. According to a TAM data in 2009, seven out of top 10 and 36 out of top 100 programmes in West Bengal were from Star Jalsa. "Bou Kotha Kou' was the number one fiction show in Bengali GEC with 7.0 average TVR. The total regional advertising market, including print and television, stood at Rs 2046.2 crore in 2007-08.